Anyone who follows my writing will know that I’m a huge fan of grooming brand Bulldog Skincare For Men. Not only do I love their excellent Original Moisturiser (there’s always a tube of it in my bathroom cabinet) I love their affordability, animal-friendly credentials and the chutzpah they’ve shown in taking on the big boys of skincare – and how they’re winning. Plus, of course, they’re a British brand (and we all understand the importance of buying British now that Brexit is less than a year away.) So I’m thrilled to see that they’re about to enter the highly competitive razor market this summer with their Original Bamboo Razor. With five tempered steel blades, a lubricating strip and a flexible head, it offers everything you want from a razor (i.e. a decent, smooth shave) but what sets it apart from other brands is its eco-credentials. No razor is perfect when to comes to sustainability but Bulldog are the first major grooming brand to at least try to lower shaving’s environmental impact in a meaningful way. As well as having a natural, non-plastic bamboo handle, for example, the packaging is kept to a minimum and is made from fully recycled stock, using environmentally friendly inks. Couple that with Bulldog’s shave products, which are certified by Cruelty Free International, suitable for vegans and are free of synthetic fragrances or artificial colours and you’re just about as near to a guilt-free shave as you can get at the moment. Needless to say, we still have a long way to go to reduce the environmental impact of the daily shave (in the US alone two billion razors are tossed into landfill ever year while the amount of plastic used in both product and packaging is still ridiculously excessive) but it’s a start. I wrote about how we might all want to move towards a zero-waste bathroom in my column for Balance magazine recently, and I care passionately about the need to consider the environmental impact of our beauty and grooming regimes, so I applaud anyone who’s at least trying to make a difference, however incremental. Shaving brands tend to be great at pumping money into snazzy social campaigns and high-profile sports sponsorships but woefully behind-the-curve when it comes to addressing the elephant in the room: the environmental impact of their products. With customers increasingly conscious of the need to reduce waste that’s a real mistake and one that I suspect will cost them dearly in the future. On this issue, as they were in offering more natural grooming products to the masses, Bulldog are once again leading from the front. 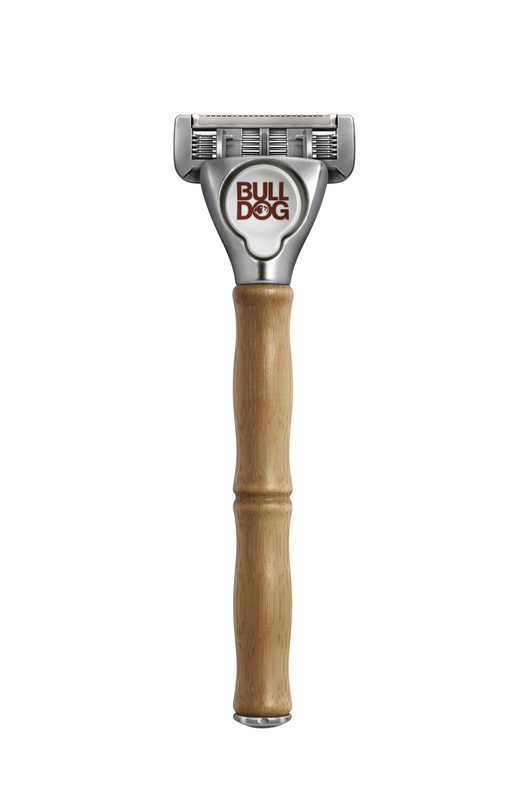 Bulldog’s Original Bamboo Razor is available from Boots stores nationwide from August, priced £12.